Welcome to the website of Team Georgia. 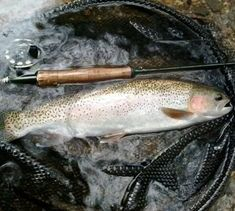 A regional team committed to furthering the sports of fly fishing and ethical competitive angling. Through a focused effort on training new hobbyists and partnering with local businesses, we strive to see the building of a strong community of conservation minded sportsmen. 1.) To promote the sport of fly fishing, to see its continuance and growth, with a focus on team collaboration and education first mentality. 2.) To educate about the importance of conservation of natural resources in Georgia and surrounding areas. 3.) To have fun fly fishing! Working to improve our Team! As Team VP. Billy is interim President if the need arises. He is responsible for direct oversight for anything leadership related for the Team. He is the Presidents direct line from team members to the Team President. As the Secretary/Treasurer Mike works diligently to take notes of all happenings of the Team. He is responsible for the Organization of the Team Calendar of Events including meetings, practices and events. Mike is the money man, meaning he is also responsible for handling all money/donations that come into the team. Joe works closely with the team by setting up and maintaining the team website, forum, and social media pages (Facebook/Instagram). Joe is responsible for the advertising of team-run events; including but not limited to competitions, fundraisers, workshops, and charity events. Also handles the drafting and delivery of all press releases, after they are reviewed by team leadership.